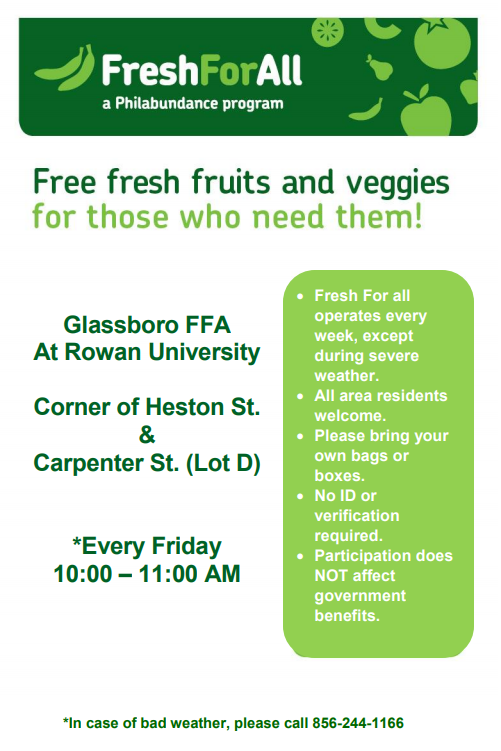 The SHOP (Students Helping Other Profs) is Rowan University's first ever on campus food pantry and resource center available to students in need. With a particular focus on addressing issues of food insecurity, The SHOP offers a range of free and confidential support services that can connect students with appropriate campus and community resources. The SHOP does not adhere to specific financial restrictions, however items available at the food pantry are intended for students without the financial means or resources necessary to purchase adequate food and/or personal care supplies. Pantry items available to students in need include nonperishable food, school supplies, toiletries, and hygiene products. *If you are unable to visit The SHOP during our scheduled hours of operation, please send us an email @ theshop@rowan.edu to set up an alternative time. The SHOP is located in room 141 in building 5 of the Rowan Boulevard Apartments.